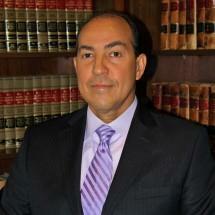 Mr. Lugo represented a minor child as a Guardian ad Litem appointed by the court in a highly contentious custody case. Though the child’s father had just been released from prison after serving a three-year sentence, he was a loving dad and the relationship with his child was at risk. The mother attempted to block the dad from having any relationship with his child. Through Mr. Lugo’s skillful and persistent legal work focused on the best interest of the child, the Judge ultimately granted the dad substantial parenting time and joint decision-making responsibilities for the child, as recommended by Mr. Lugo. The dad’s relationship with his 3-year-old son was saved. A father’s worst nightmare occurred when he was falsely accused of sexual abuse of his young daughter. He was criminally charged and incarcerated in the County jail. Through Mr. Lugo’s tireless legal advocacy, the Judge dismissed the criminal case against this innocent father. He walked out of the County jail with his liberty. Mr. Lugo represented a minor child accused of felony possession of drugs. Drugs were found in the back seat of a car in which Lugo’s client was riding, after the police pulled the car over for a minor traffic violation. Despite the drugs having been found a few inches from where the child had been sitting in the car, Mr. Lugo’s passionate defense of his client convinced the Judge to dismiss all charges against the innocent child.